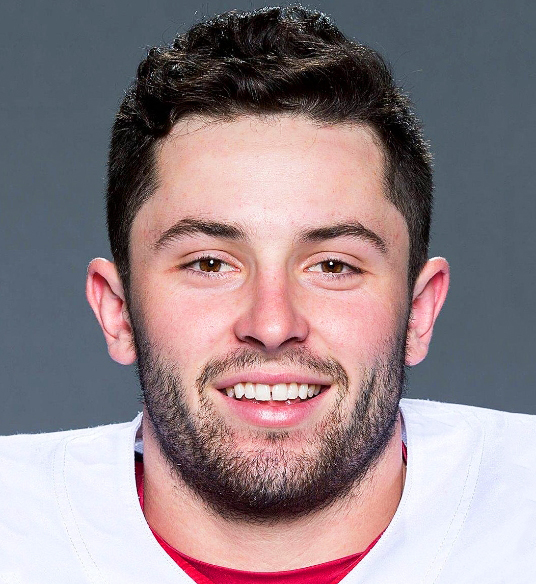 Mayfield began his college football career as a walk-on player for the Texas Tech Red Raiders. 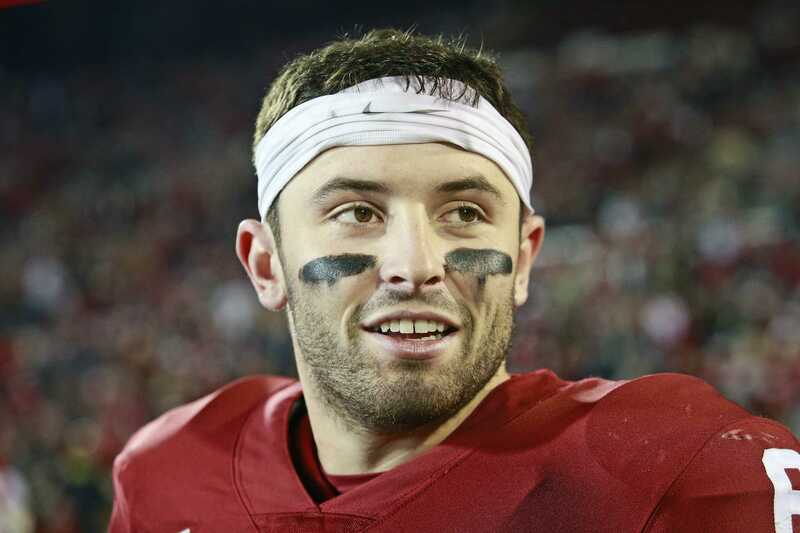 He is notable for being the first walk-on true freshman quarterback to start a season opener at a BCS school. 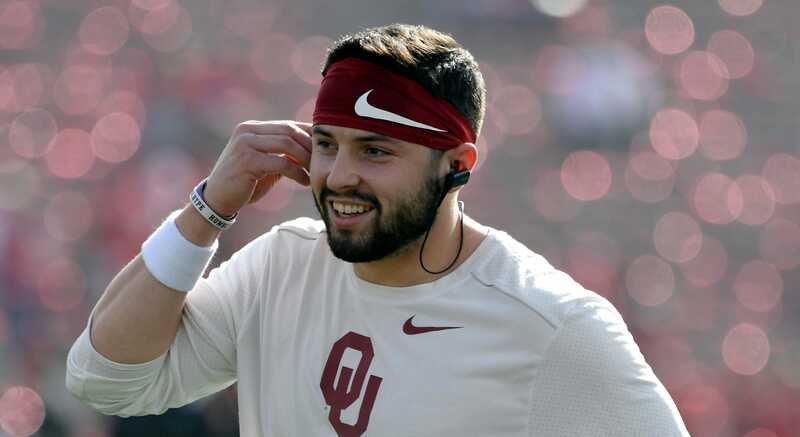 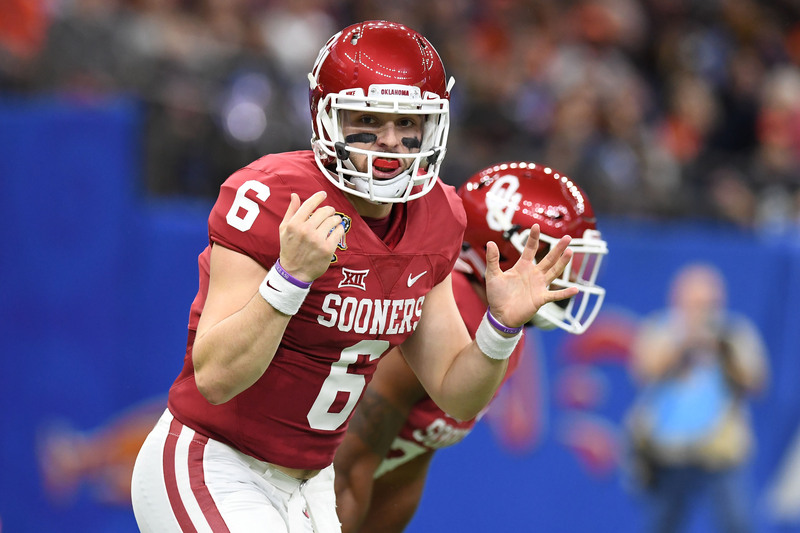 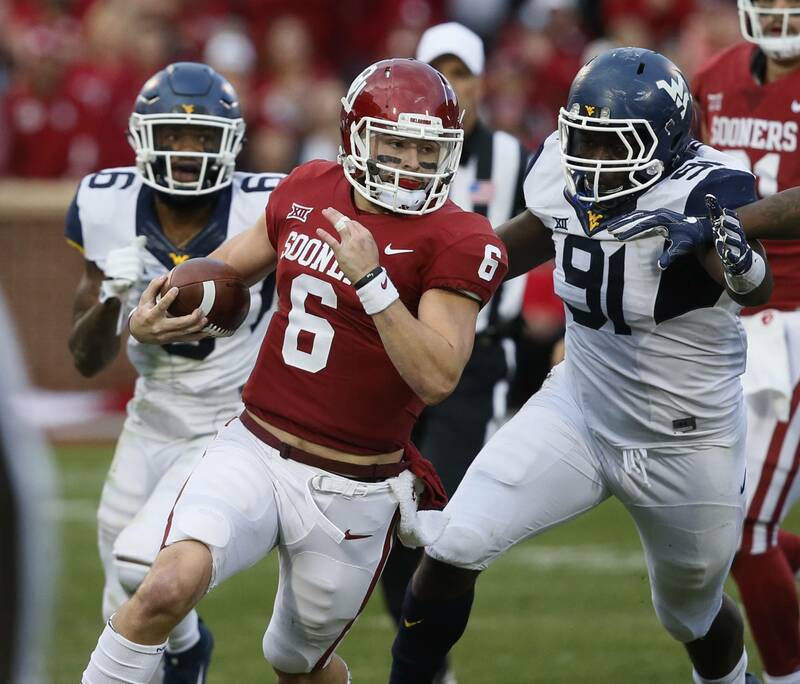 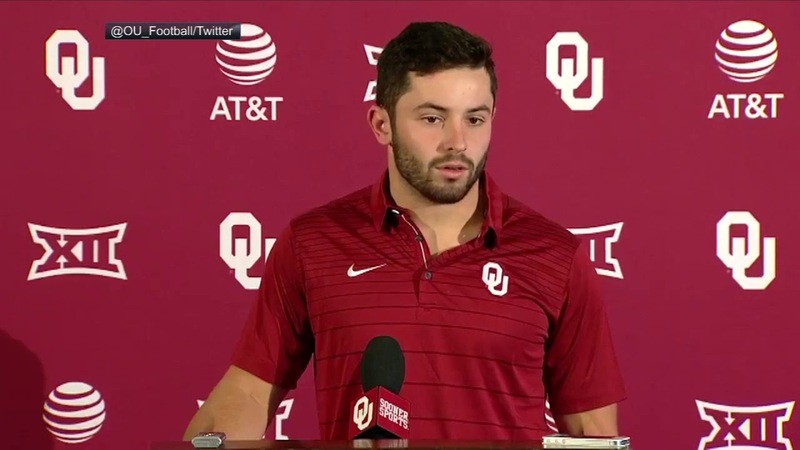 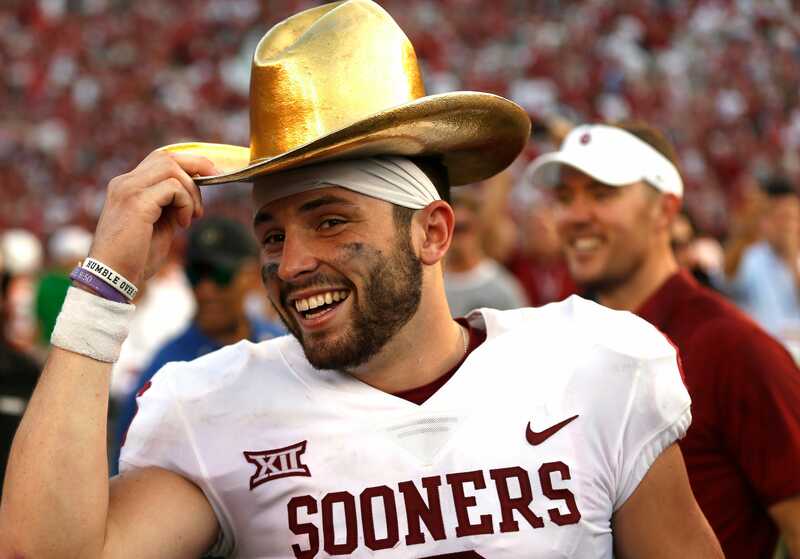 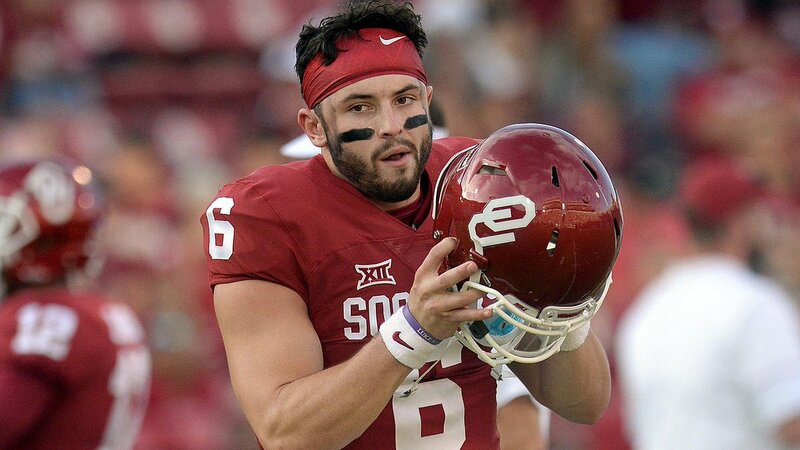 Mayfield transferred from Texas Tech to Oklahoma following alleged scholarship issues and a lack of communication with coaches. 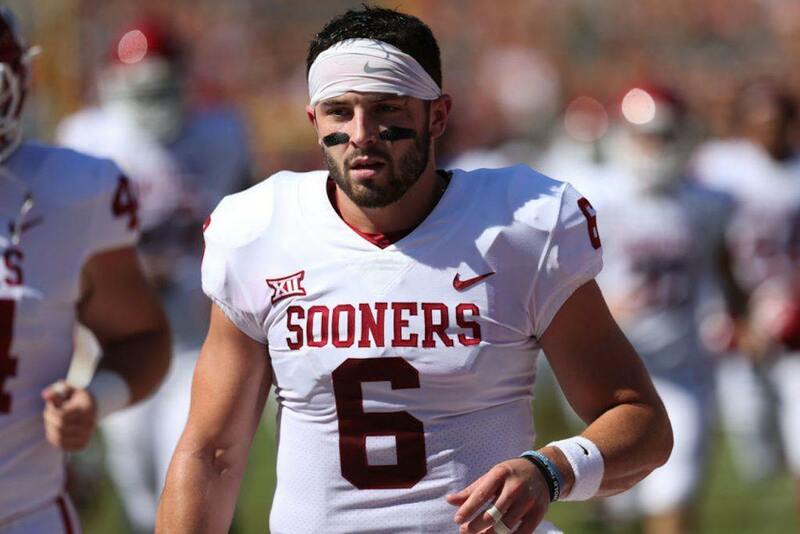 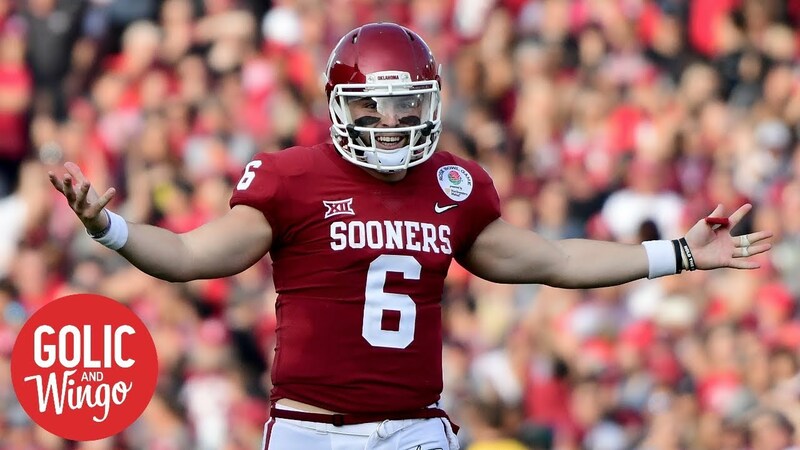 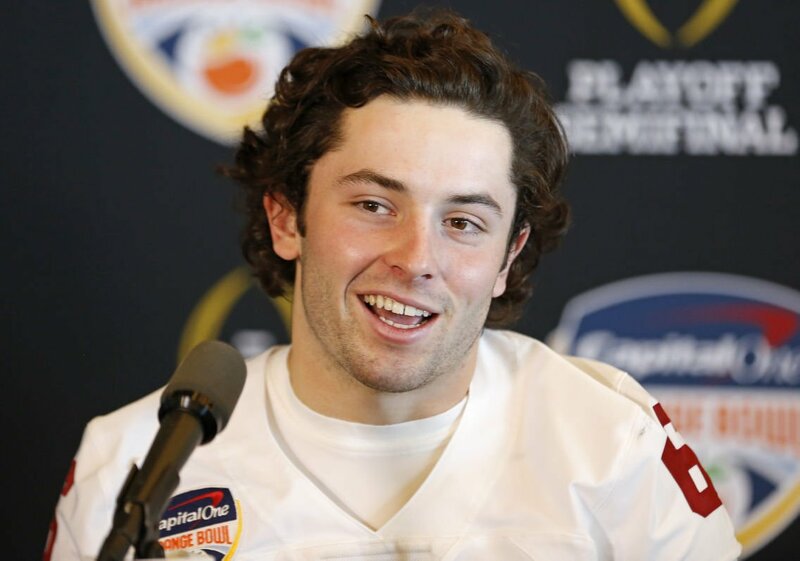 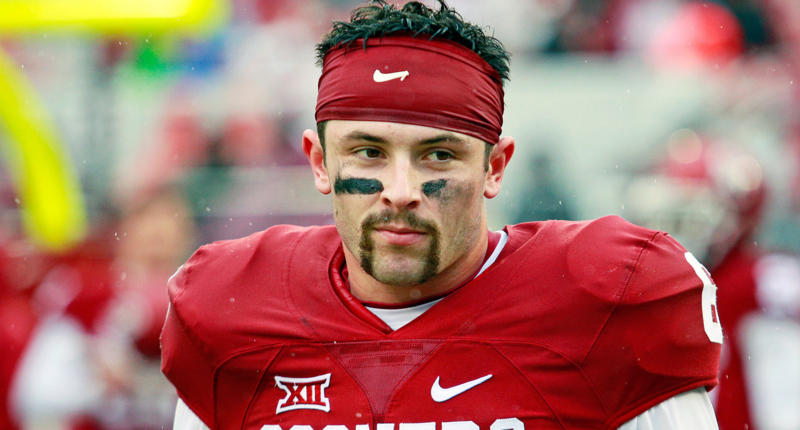 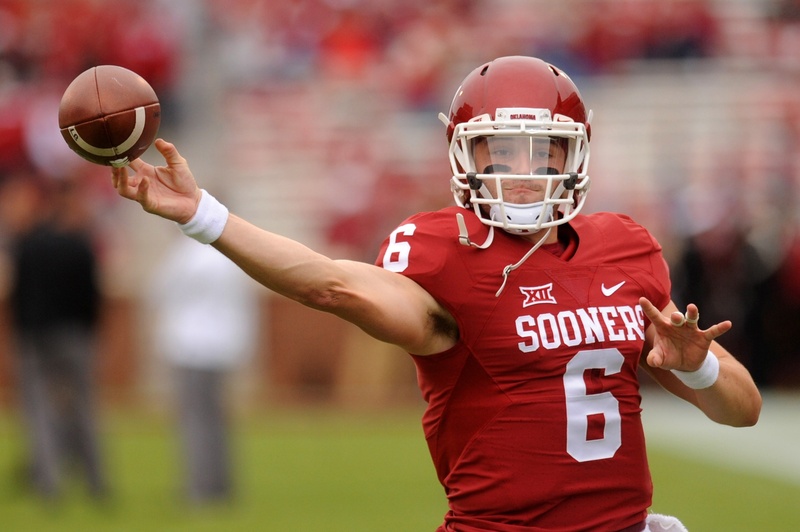 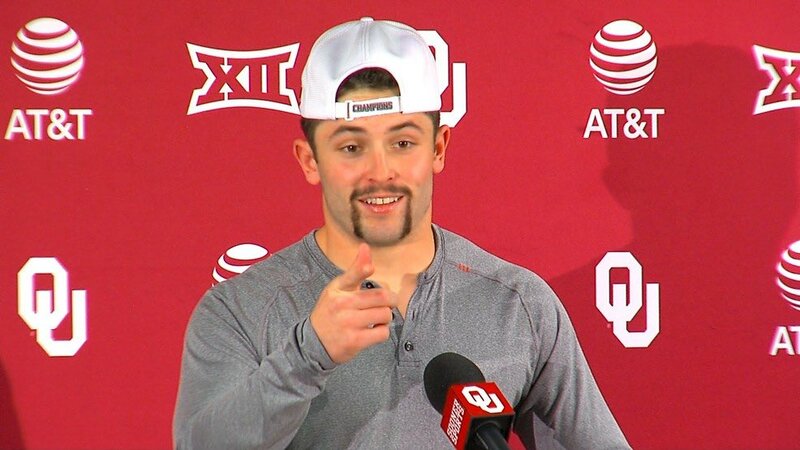 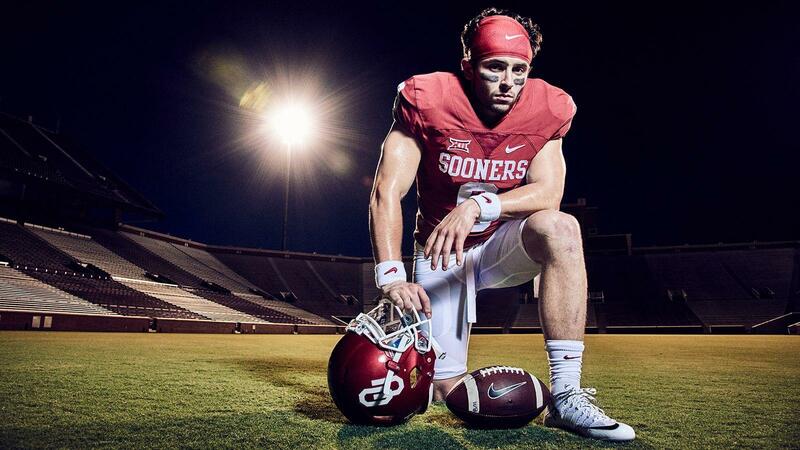 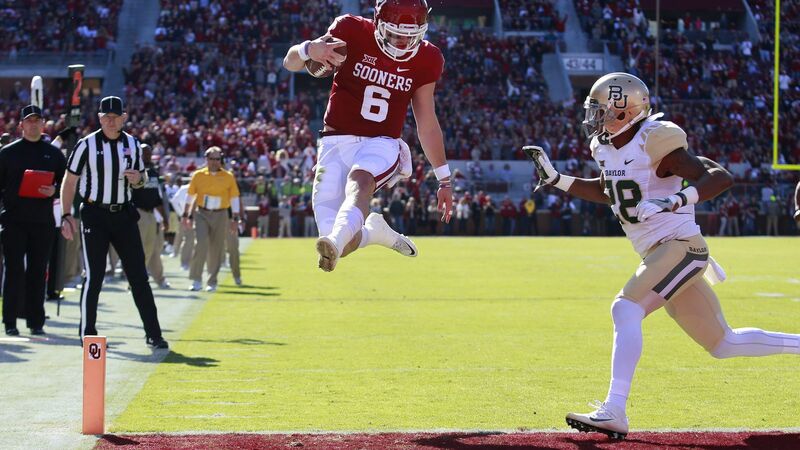 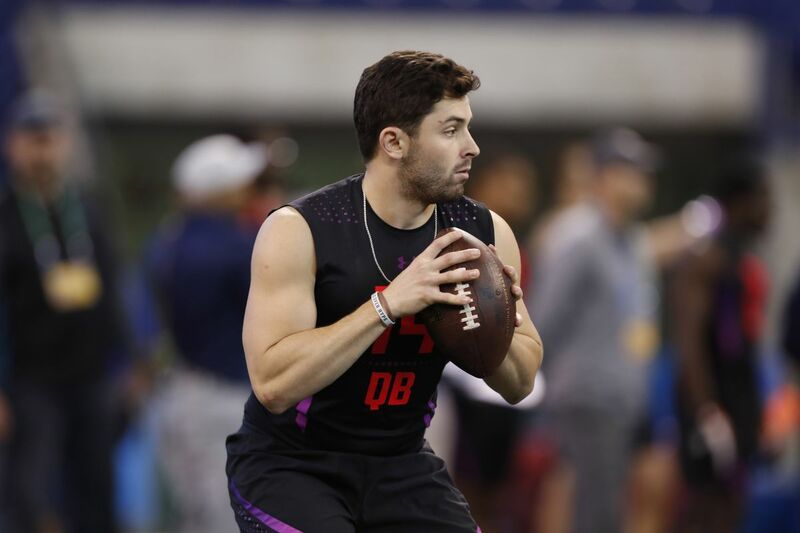 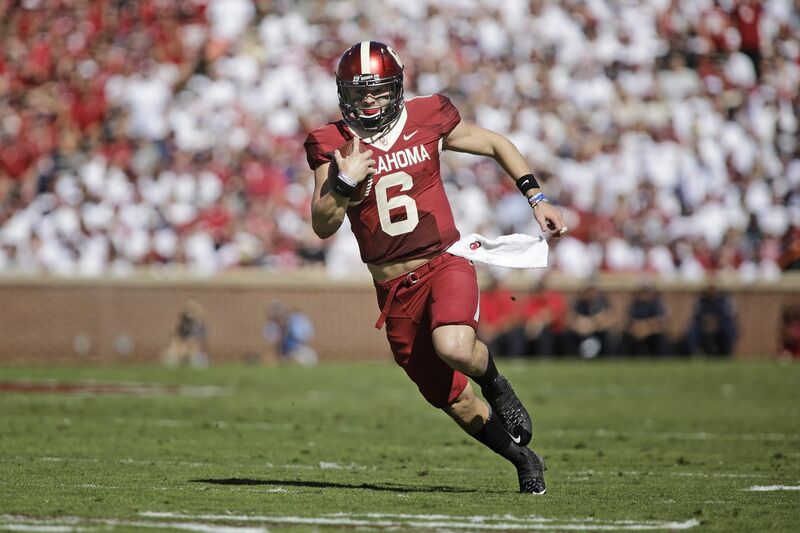 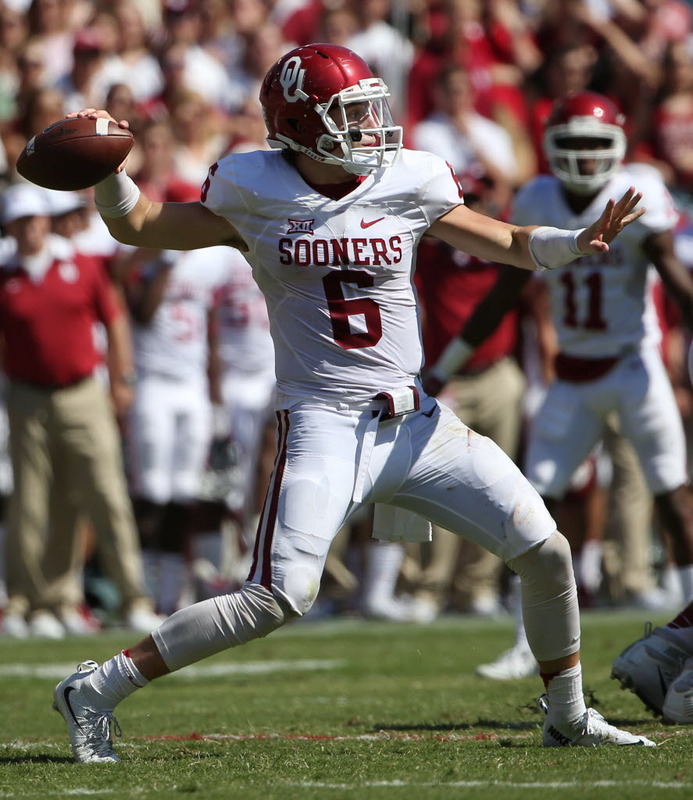 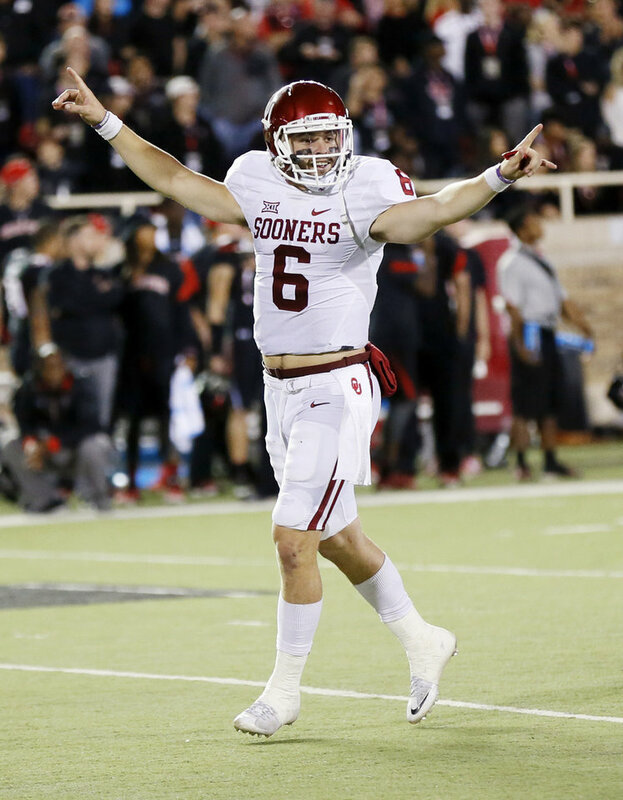 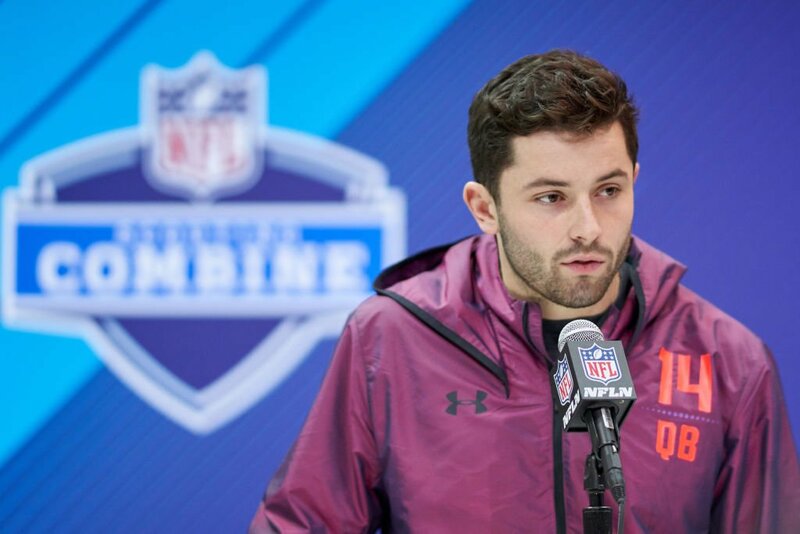 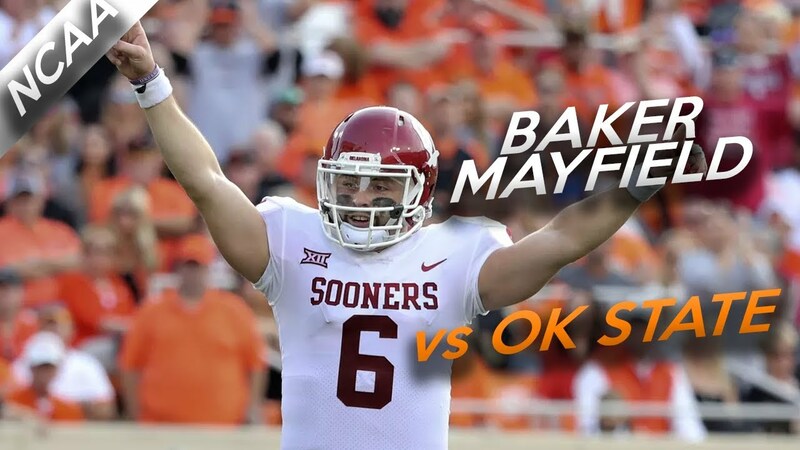 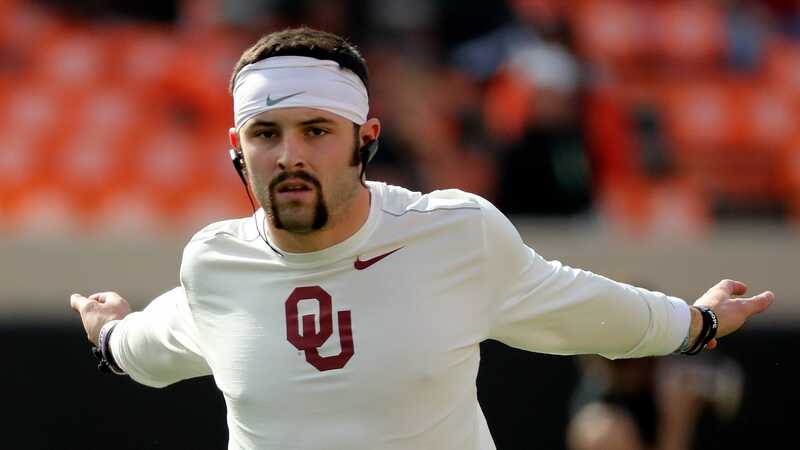 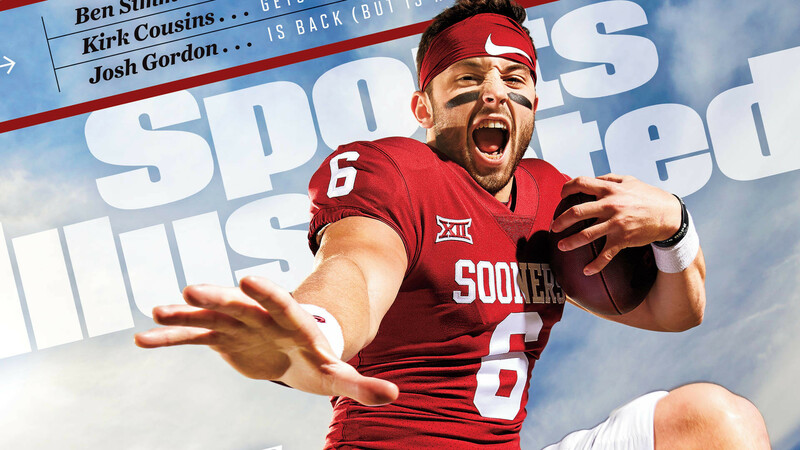 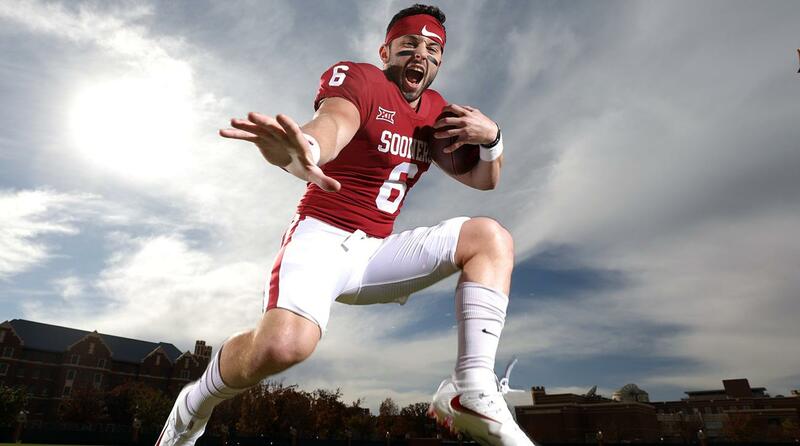 After sitting out the 2014 season due to NCAA transfer rules, Mayfield won the starting quarterback job in 2015. 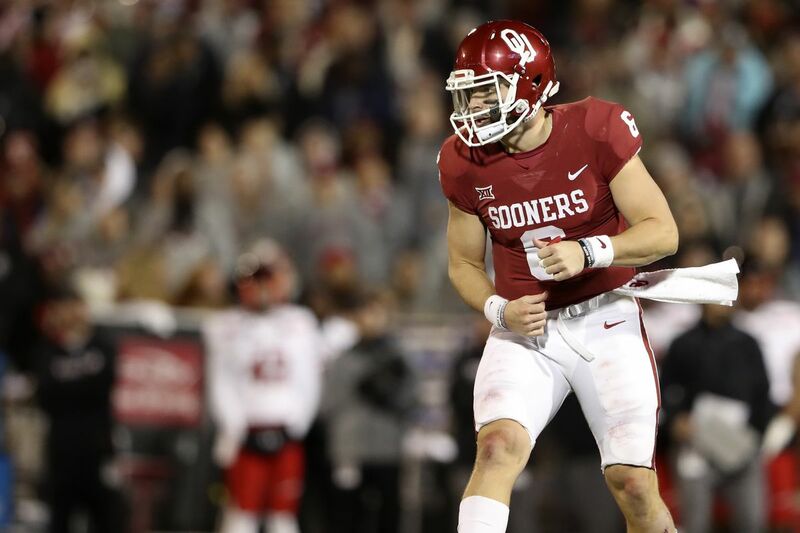 He won several awards for his performance as a senior in 2017, including the Heisman Trophy, Maxwell Award, Walter Camp Award, and unanimous All-America recognition.